Over time, the dance studio becomes a safe space for many of those who enter it. This is especially true of those people who find a true passion for dance. Plain and simple, this is something that we hope to offer to all those who come into our studio. However, we know that when first beginning to take dance classes, it is very easy to be intimidated by all that is going on. After all, being in a new environment is always a tad bit uncomfortable, even when you think you have some idea of what you can expect. This is why we have chosen to give you a detailed description of the dance studio and all the components it contains. Continue reading below to learn more about how the dance studio is set up so that you can better explain it to your kid once they begin their dance classes. The surface that your child will be dancing on probably varies depending on how experienced they are, as well as their age and the type of dance they are performing. While you may not think of it as a vital part of a dancer’s time in the studio, the solid wood floors they are dancing on will become where they spend the majority of their time. For our younger dancers, there may be a mat on the floor from time to time that acts as a buffer. Keep in mind that there is nothing wrong with learning on a mat to begin with. Different performance surfaces offer different things for those who have varying levels of experience. Eventually, your child will graduate from the mat and move to the hardwood floors once they have acquired the confidence and skill to do so. It doesn’t matter which dance studio your child has a class in, there will always be mirrors in the space. Mirrors are an important part of learning and improving as a dancer because they allow for the students to observe themselves, as well as others as the class takes place. Being able to look themselves in the eye, as well as monitor their posture, helps the dancers to have the ability to improve with each class. Additionally, for students who are just starting their dance classes, they are able to physically see themselves going through the moves, making their time in class extremely valuable for more reasons than getting instruction from our teachers. In order to fine-tune their skills, your child will likely spend a lot of time at the barre. Not only does this piece of the studio hold them up, but it allows for dancers to easily obtain good posture while going through different positions (especially in ballet classes). Not to mention, this tool will also assist your child with learning technique and control. The barre is also used in classes other than ballet for warm-ups, stretching, and much more. In the majority of dance studios, you will find other components that will not only add to the atmosphere of the studio, but that can also assist in classes. One of the most common items you will find in a studio is a piano. These are often used in both ballet and jazz classes. If you are ready to introduce your child to the dance studio, it’s time to make your move. 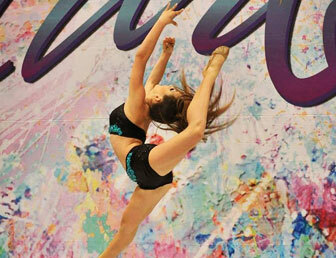 Contact Dance Obsession Dance Studio today and learn about the many classes we offer to our students. We cannot wait to help your kid get familiar with the studio and with the wonderful world of dance.